This set of photos was taken on September 9, 2014 at 9:20 AM. The "Take It!" came from passing by this bit of ingenuity fairly frequently for over a year and not really seeing what had taken place. 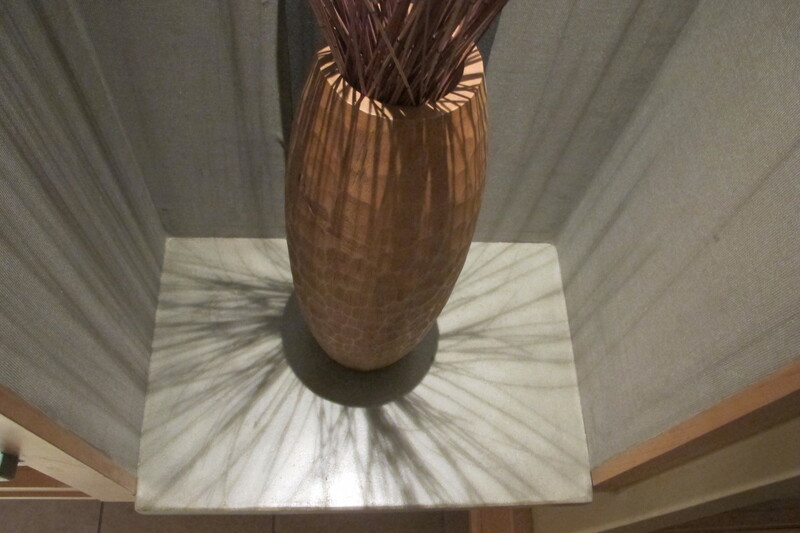 What initially caught my eye was the shadow pattern formed by the overhead light on the vase full of trimmings. 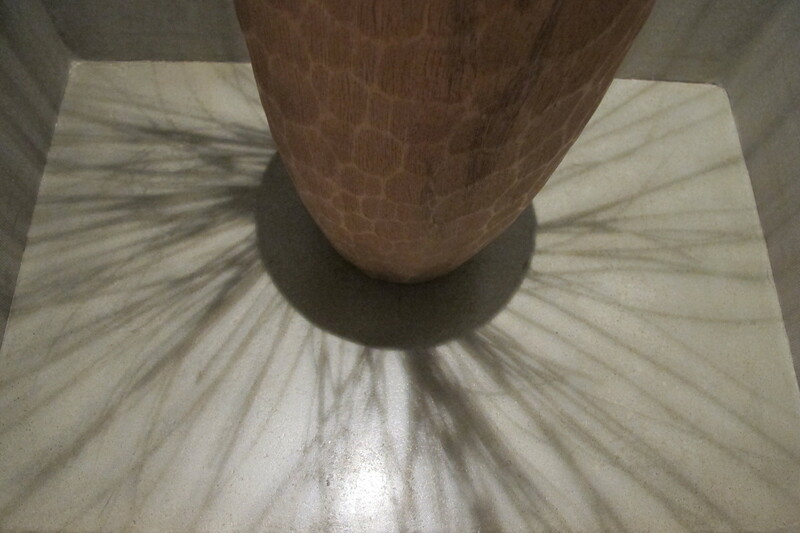 The shadows that initially grabbed me where those that seemed to be formed at the base of the vase and worked their way across the floor of the small alcove in which the vase had been placed. The shadows then extended upward on the walls of the alcove creating a very pleasing image. The After Take: I showed this set of photos the way they have been displayed here with the floor of the alcove first with no explanation - the quiz was on - but only for a few moments as quickly enough moved to the other photos to reveal all of the happening. Everyone liked the sequence. The best part of this - is that if you look closely, behind the vase on the back wall of the alcove you will see a metal plate. This is all that is left from a pay phone that used to be located there. The cell phone has almost rendered pay phones obsolete and rarely used. I thought this was a very clever way to mask over what could have been a small eye sore. 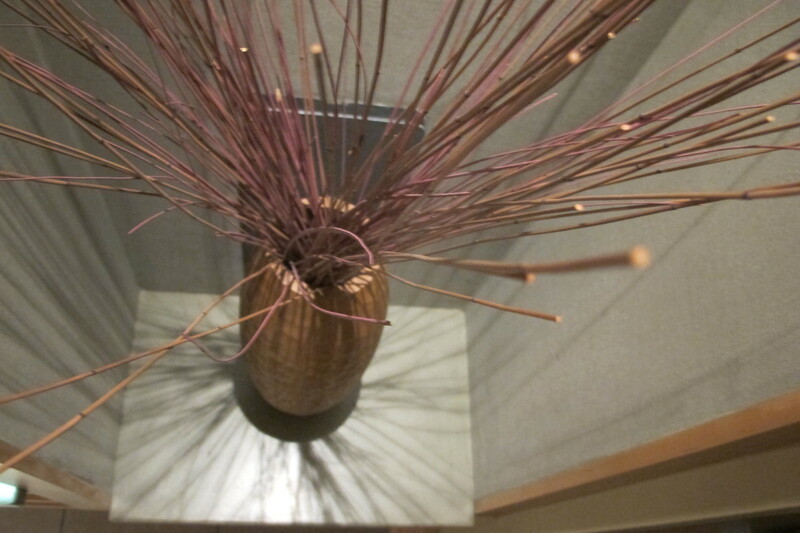 Kudos' to the imagination that put this vase in place. Here is hoping you have enjoyed the guessing on this one. I know I could never have thought out what it was from the first photo. Well I got part of it right. The shadows it casts onto the walls surrounding it look pretty neat. I just looked at the original and its like if you combined all the answers posted you'd have the correct answer. Too funny! I should have agreed with Sf1967 as well. A re purposed tree lol. Very cool looking.